Empowered with what to look for, you will be able to evaluate a new advisor or re-evaluate your current one. Choosing a financial advisor is one of the most important financial decisions that you will ever make. 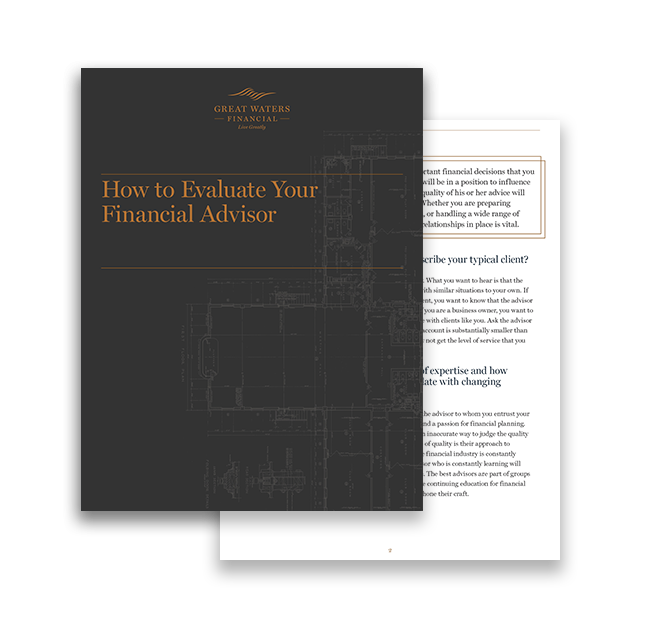 So how do you evaluate the quality of the financial advisor who will influence critical investment and planning decisions? The quality of his or her advice will heavily influence your long-term financial success. Whether you are preparing for retirement, planning an estate, selling a business, or handling a wide range of complex financial matters, having the right advisor relationships in place is vital. Do you have the right one? Equip yourself with the questions you need to ask, and with a checklist to evaluate your current advisor or to vet a prospective advisor. Each of these areas covered in your checklist has a dramatic impact on the health of your retirement portfolio, and are vital to build the kind of life and legacy you want in retirement: one that’s rooted in generosity, meaning, and investing in the relationships that matter most.